Used but in good cosmetic and working condition. Used but nice wrist bands for Forerunner 205/305s. This is for HALF of the set, specify which half you need (holes or buckle). Either half of a watch band. Good but used condition. Used but in good cosmetic and working condition. Includes one button, spring and cir-clip. Specify the model whatch you have and which button you need in the notes at checkout. I have most in stock. Used but nice top Charging Dock adn Cable Forerunner 205s (blue) or 305s (red). Part only no installation. These are NEW batteries for Garmin Forerunner 305, and 205s. Battery is rated at 800mAh. This is for the battery only, not the installation. This install requires cutting off a small plastic post in the bottom cover, and soldering or otherwise splicing the battery wires to the wires on the GPS. My 305's are the best around, better than new the battery will last all day and night and the unit will not turn off on you like stock ones. Check out my other items! Used but nice top covers for Forerunner 205s (blue) or 305s (red). Part only no installation. If you would like installation look in the repair section. Thanks. Used but nice top covers for Forerunner 205s (blue) or 305s (red). Part only no installation. If you would like installation look in the repair section. If your color preference is red, you can put a 305 cover on, they fit! Thanks. Used but nice top covers for Forerunner 205s (blue) or 305s (red). Part only no installation. If you would like installation look in the repair section. If your color preference is blue you can put a 205 cover on, they fit! Thanks. Forerunner 305 or 205 Bottom Cover - Like NEW! Used but in good cosmetic and working condition. Used but like new bottom covers for Forerunner 205s or 305s. Excellent with nearly perfect rubber buttons, at least a 9 of 10 rating. Part only no installation. If you would like installation look in the repair section. Thanks. Used but in good cosmetic and working condition. Does not include LCD. 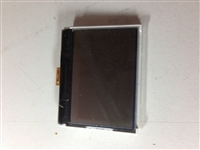 Note: The picture shows a board installed in a top cover assembly, this item is onlt the board.